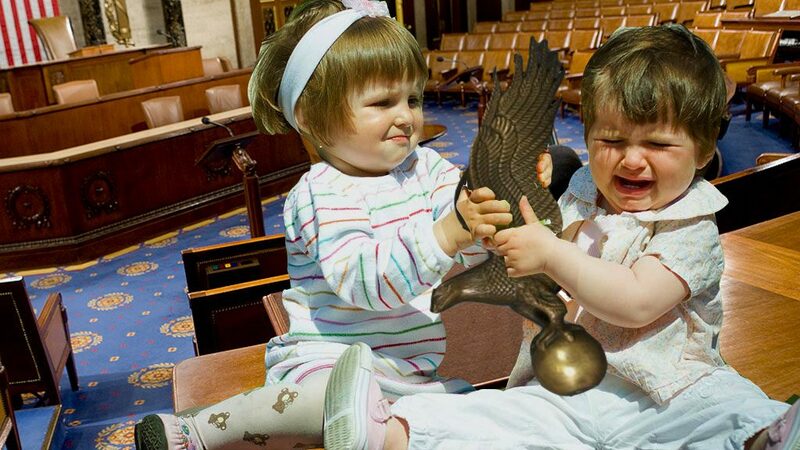 Unbeknownst to the American public at large, all federal elected officials have been replaced with actual toddlers during the government shutdown. “When Nancy Pelosi cancelled the President’s State of the Union Address and President Trump took away Pelosi’s multi-country trip around the world, I thought, hey that’s pretty petty, but then I learned that they were replaced with literal toddlers, so it make much more sense,” John Strauss of Hartford, Pennsylvania said. Chuck Schumer’s toddler representative was seen crying on the Senate chamber floor. Witnesses said that he had been demanding for a Lego wall toy for some time and when Trump’s toddler representative gave it to him, he suddenly didn’t want it and started crying hysterically.